The Associated Press is back on Twitter after yesterday’s hacking incident, which roiled financial markets with a fake tweet about explosions at the White House. But something is still amiss — the news agency has almost 2 million fewer followers than it did before the hacking. 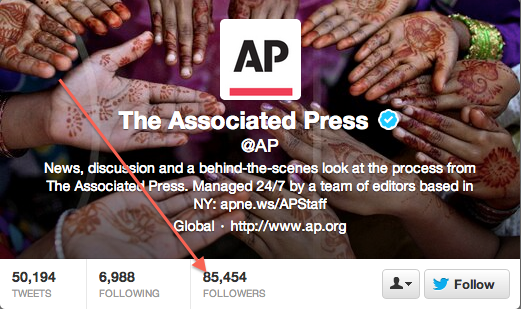 Update: Twitter has told the AP that it can take up to 24 hours for followers to return. In case you missed it, the AP’s Twitter account was suspended yesterday afternoon after the fake tweet — possibly posted by the Syrian army — caused a temporary shock to stock markets, which rely on news wires like the AP for up-to-date information. I’ve asked the AP for an explanation and am still waiting on a response. At this point,Twitter may be adding the followers back gradually; the 85,454 figure is almost double the number from earlier this morning. 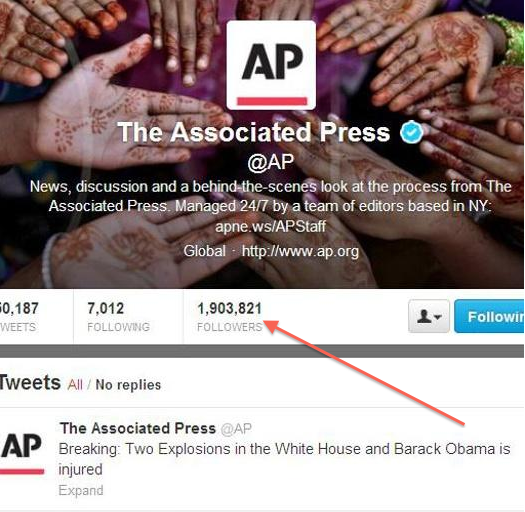 If the followers have indeed been wiped out, this would represent a serious blow for the AP. Like other news organizations, the AP relies heavily on social media outlets to disseminate its stories, and an organization’s (or person’s) number of Twitter followers can stand as proxy for influence. The AP hacking incident has also led to calls for Twitter to introduce a security feature known as 2-step authentication. Would be great if they will make public how the account was hacked, by sharing this type of information companies make the internet a safer place. This isn’t news. That’s how Twitter restores any suspended account. First the account, then the followers, over several hours. Very worrisome when it’s your own account!